Scientist, Professor, Scholar, National Television Host, and Forbes Contributor........."Dr. Marshall Shepherd redefines the intersection of academia, science and societal relevance"
-- "There is No Planet B for humanity so we better understand this one well"
Dr. J. Marshall Shepherd is a leading international expert in weather and climate and is the Georgia Athletic Association Distinguished Professor of Geography and Atmospheric Sciences at the University of Georgia. 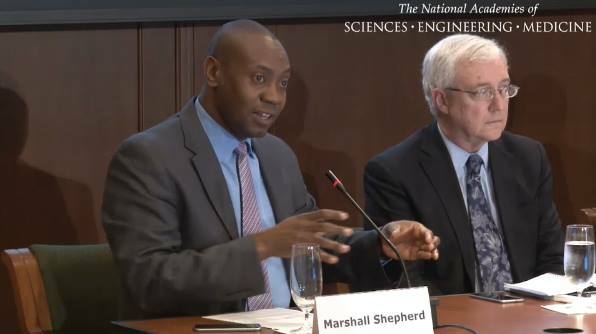 Dr. Shepherd was the 2013 President of American Meteorological Society (AMS), the nation’s largest and oldest professional/science society in the atmospheric and related sciences. Dr. Shepherd serves as Director of the University of Georgia’s (UGA) Atmospheric Sciences Program and Full Professor in the Department of Geography where he is Associate Department Head. 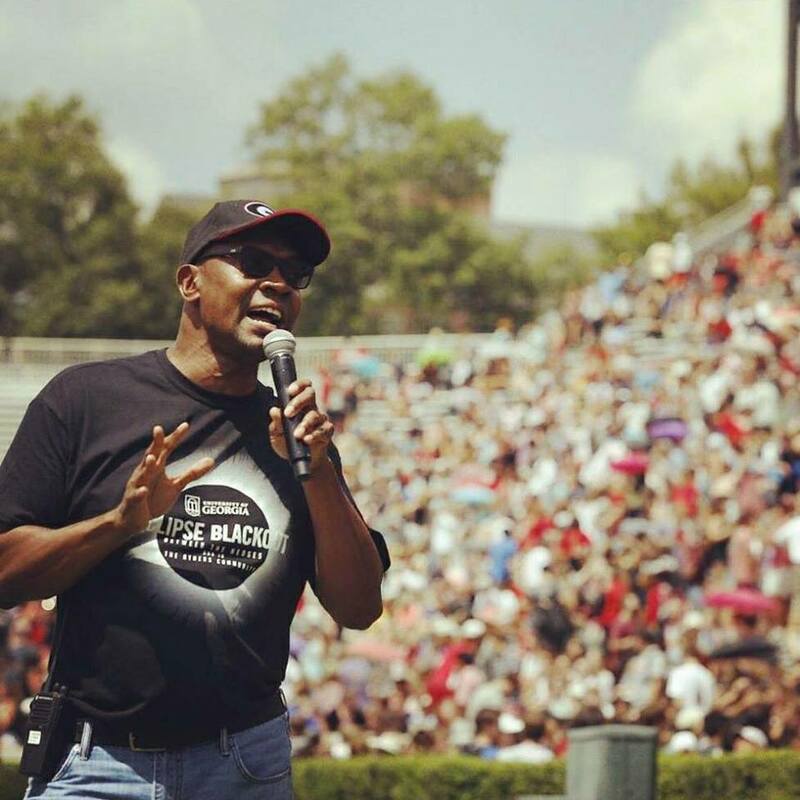 Dr. Shepherd is also the host of The Weather Channel’s Award-Winning Sunday talk show Weather Geeks, a pioneering Sunday talk show on national television dedicated to science and a contributor to Forbes Magazine. Dr. Shepherd routinely appears on national media outlets like CNN, The Weather Channel, CBS Face The Nation, and more. He also provides expertise to NASA, NOAA, The White House, Congress, and other stakeholders. Dr. Shepherd's TedX Atlanta talk on "Slaying the Climate Zombies is still one of the most watched lectures about climate change on You Tube. He has received numerous awards including the Presidential Early Career Award (2004) from President George W. Bush, Florida State University's Grad Made Good, AMS Landsberg Award (scientific research excellence), AMS Brooks Award (leadership), and the AAG Media Award. The University of Georgia has also recognized him with two of its highest teaching awards: The Sandy Beaver Teaching Award and the First Year Odyssey Seminar Teaching Award. ​He is available as an expert on weather, climate, science communication, and innovative strategic thinking in STEM. More information is available at the CONTACT page above or by reaching out to the Harry Walker Agency at this link.